Looking for deals in Barcelona? Set in a remarkable location, 328 feet from Gaudi’s La Pedrera and Paseo de Gracia shopping Boulevard, The One Barcelona GL features a rooftop panoramic plunge pool and a sundeck with views of... Awesome hotel, modern and sophisticated enterior, rooms are clean and cosy, and furniture is brand new, the staff is very polite and friendly, it’s location is great. From every aspect it deserves a 10! Which hotels in Barcelona are good for families? 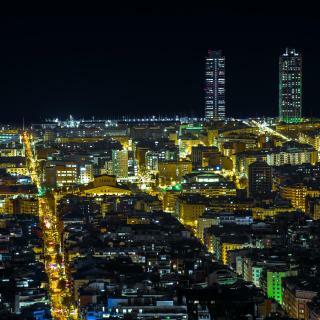 Many families visiting Barcelona loved staying at Olivia Balmes Hotel, H10 Casa Mimosa 4* Sup, and The One Barcelona GL. What are the best hotels in Barcelona near Barcelona-El Prat Airport? Travelers who stayed in Barcelona near Barcelona-El Prat Airport (BCN) have said good things about Sleep&Fly, Tryp Barcelona Aeropuerto Hotel, and BAH Barcelona Airport Hotel. How much does it cost to stay in a hotel in Barcelona? On average, 3-star hotels in Barcelona cost £76 per night, and 4-star hotels in Barcelona are £100 per night. If you're looking for something really special, a 5-star hotel in Barcelona can be found for £241 per night, on average (based on Booking.com prices). What are the best hotels in Barcelona near La Rambla? Some of the best hotels in Barcelona near La Rambla include Hotel Casa Camper, Hotel The Serras and CoolRooms Maldà. Which hotels are the best ones to stay at in Barcelona? Hotel Casa Camper, Olivia Plaza Hotel, and Catalonia Magdalenes are some of the popular hotels in Barcelona. Which neighborhood is the best one to stay at in Barcelona? Ciutat Vella, Eixample, and Gràcia are popular with other travelers visiting Barcelona. Which hotels in Barcelona have nice views? Olivia Plaza Hotel, Iberostar Paseo de Gracia 4* Sup, and Catalonia Passeig de Gràcia 4* Sup got great room view-related reviews from travelers in Barcelona. On average, it costs £76 per night to book a 3-star hotel in Barcelona for tonight. You'll pay around £100 if you choose to stay in a 4-star hotel tonight, while a 5-star hotel in Barcelona will cost around £223, on average (based on Booking.com prices). Which hotels in Barcelona offer an especially good breakfast? For hotels in Barcelona that serve highly-rated breakfasts, try Hotel Casa Camper, H10 Port Vell 4* Sup, and Catalonia Magdalenes. The average price per night for a 3-star hotel in Barcelona this weekend is £210 or, for a 4-star hotel, £290. Looking for something even fancier? 5-star hotels in Barcelona for this weekend cost around £518 per night, on average (based on Booking.com prices). Which hotels in Barcelona are good for couples? These hotels in Barcelona are highly rated by couples: Hotel Casa Camper, Olivia Plaza Hotel, and Catalonia Magdalenes. 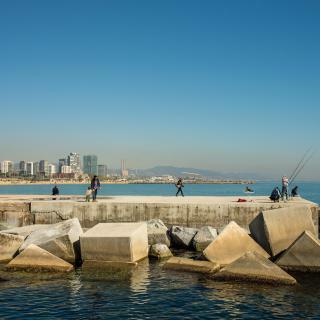 The lively and colorful city of Barcelona faces the Mediterranean Sea and features the world's top city beaches, including Sant Sebastia, Barceloneta and Somorrostro beaches. 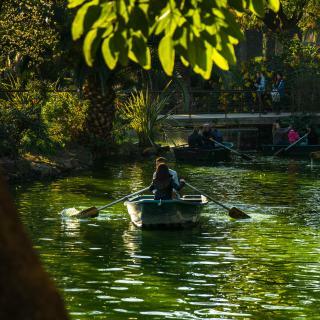 There is plenty to see and experience in this city of great architecture: the historic Gothic Quarter, the amazing modernist design of Gaudi's creations and the popular Las Ramblas. Barcelona is famous for its street performances, colorful markets and great Catalan dining. Easy to explore on foot or using the reliable subway, the city is full of things to do and views to take in! Discover the hidden squares and architectural pearls of Ciutat Vella and visit the locals' favorite meeting spot, La Plaça Catalunya. Wander the sunny beachfront or watch an FC Barcelona game at Camp Nou, the largest stadium in Europe. As the city's most popular food area, Barceloneta has plenty of popular restaurants serving seafood and tapas. If it's shopping you're after, visit Gracia and return to Ciutat Vella for small shops full of genuine souvenirs, designer fashion and fresh produce. Getting to Barcelona is an easy trip from El Prat International, Girona or Reus Airports. Find modern hotels, fancy apartments and cheap hostels on Booking.com. We're sure to have the perfect accommodations for your vacation! Stayed at the Tryp Apolo Hotel. Stayed at the Tryp Apolo Hotel. A fantastic place with a class staff who took very good care of our group. Excellent breakfast, great location, and very clean and comfortable rooms, CAUTION - the cab drivers from the airport to the hotel charged us for the cab ride AND A PER BAG CHARGE. We were 5 adults with a total of 15 bags going on a 24 day cruise. It was 11:00pm and we were all very tired from a long day of travel and feel we were taken advantage of, but the cab driver apparently forgot how to speak English once we got to the hotel. Anyway, other than that we found Barcelona a wonderful place. Our hotel was just a coupe of blocks from Las Ramblas, and we found it very easy to navigate the streets and explore the city. The food, the shopping, the museums (always seemed to be very crowded) and the weather was all fantastic. We did a 2-day hop-on/hop-off tour to get an overview of the city. That provided excellent opportunities for great photos and an easy way to go back the next day to explore specific places. We found the locals to be very helpful and friendly. Some of the street vendors were very rude and pesky, not wanting to take "no" for an answer to their over-priced and cheaply made merchandise. Our cab ride to the port for our cruise was easy and we were not cheated by the cab drivers on this part of the trip. A flat rate (about 30 Euros for each of the 3 cabs). The port was just a short ride from the hotel and the baggage men at the cruise terminal were polite and courteous. 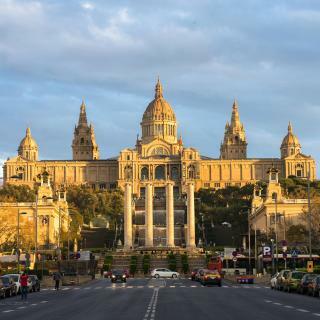 A return to Barcelona is definitely in the future, but now that we know about the unscrupulous cab drivers and pesky street merchants, we will be better prepared to enjoy 100% of our visit. I loved Hotel Cortes in Barrio Gotic. I loved Hotel Cortes in Barrio Gotic. It was perfect. Right in the center of everything. You had Ramblas on the right when you walked outside and Centro Cataluyna to your left with every shop and eating place just steps away. The Hotel staff was wonderful! Between Andres hospitality(don't let his serious demeanor distract you because as soon as you talk to him he's just the best!) to June's smiles and amazing cappuccinos I couldn't have asked for better. Yes this is not a "luxury" Hotel but OMG it is suuuuuuuuper clean, the staff does Everything to make your stay amazing, the rooms are super comfortable the hot showers are amazing because the shower pressure is great, and I absolutely love city views and life so the views were absolutely amazing looking down the Barcelona city streets. Yes at night it's a tad bit noisy but if you don't like the city don't stay in a city hotel lol Anyways, I will be back and I will be staying here. Love this city and the prices of the leather and clothes is unbeatable! Well, at least if you're from the states lol. Hope this helps! The city is immaculate. The people were helpful and friendly. It could have been cooler but we expected it to be hot in August! We ate near our wonderful hotel Olivias Balma and they were great! We saw Sacra Familia. I think that the authorities need to work on crowd control. The streets we almost unpassable and with no room to move. There should have been more shade andfences. I was traveling with someone who has a disability so walking too much was the negative of this trip. Barcelona was the port we left to and from for our Mediterranean cruise. We primarily used taxis for the airport & port, as well as one of the hop on and hop off buses to get around the city (bought tickets directly at one of the hotels). When we stayed on Rambla de Cataluyna, it was a shopping district so couldn't find nearby supermarkets. Bakeries and cafes, yes. Hotel staff helped us find a convenient ATM around the corner. La Rambla did have supermarkets where we could find fresh fruit. However staying on La Rambla is way too noisy at night if you don't have ear plugs. We recommend touring Casa Batllo and Sagrada Familia. You will be amazed! So much talent! Fascinating! Casa Batllo doesn't have elevators though if you have a disability. My mom went only up a couple floors and didn't go to the roof. You can buy tickets on the Hop on and Off bus (Barcelona City Tours-red bus) for Sagrada Familia and other tours. I don't have many tips for finding bathrooms. In Italy it was more acceptable for you to buy something from a cafe or restaurant and be able to use the toilet. Not what we experienced in Barcelona. Obviously watch your belongings-money, passport. We wore anti-theft over-the-shoulder bags that we specially bought. Everything I had read said be very careful, especially on La Rambla. As such, we didn't have any problems. 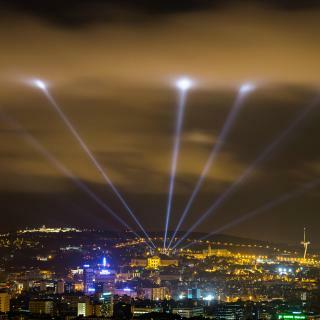 Barcelona is a great city, a wonderful opportunity to see art, culture, shows, theater, etc. Unfortunately, we went during the hottest month of the year, and were not prepared for the high humidity and the overwhelming CROWDS on streets. 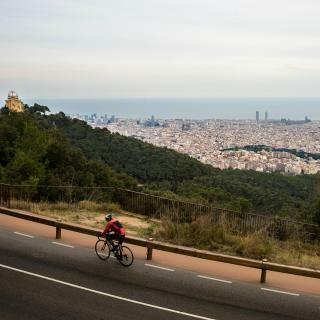 I would LOVE to return to Barcelona during the off season, where there are less tourists, perhaps Fall and Spring, with nicer and more welcoming weather and streets less crowded. Also, it is important for someone that can´t go except in July August, to make sure at least, to reserve a lodging with AC, and with elevator, and make sure it is a clean and inviting atmosphere and average size rooms and bathrooms. My boyfriend and I traveled around Europe for a month, catching the highlights of major cities with a 3-4 day stay in each. Barcelona was my personal favorite city and a great way to round out the trip. The hotel helped a lot - Ayre Hotel Gran Vía has a really helpful and professional staff and the rooms are beautiful. Best of all... we afforded it on a backpacking budget. 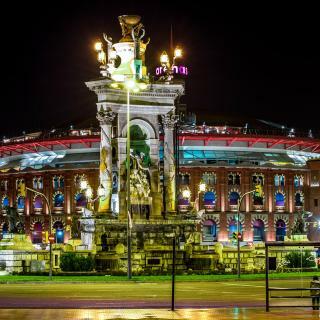 It's super close to Arenas, an old bull fighting ring turned shopping mall. Best food find: Felice. It's a few metro stops away and the Dutch owners are super friendly (Dutch, English, Catalan, and Spanish fluent). We visited Parc Guell (mostly free, lots of tourists and locals alike, full of art) and Parc del Laberinto d'Horta (free on Wednesdays and Sundays). Favorite part about Barcelona : the people. We recommend buying metro ticket packs (we used together 14 tickets in four days) as the metro can get you pretty much anywhere. Positively surprised from the hotel. Very closely located to 2 underground stops and walking distance from Sagrada Familia. If you stay for 2 or 3 nights to explore the city is great value for money. Barcelona hotels are quite expensive and for 3 star hotel was a good choice. Tip: easy access to the airport with L1 and L9, if you arrive late in the evening at the BCN is good suggestion. Plus night bus. Breakfast was also ok, considering that is a 3 star hotel. General conditions in the hotel are ok. Excellent hotel, based in the City Center, perfect location. Outstanding facilities, big room with balcony, very organised and clean. Receptionists very polite and friendly. They know the city and they are always available to provide you informations about the most popular places of the city (location and transport you should get ). Delicious breakfast everyday and staff very kind and attentive. Hotel highly recommendable for those who are thinking to visit Barcelona. The hotel was super clean and staff were wonderful. The price was a little steep for the night, However there was a music festival going on this weekend so that could have hiked up the price. The pool lounge pictures definitely are bigger than the actual size. The pool and lounge closed at 8, and when we went to go get a drink at the pool bar they had said they closed up at 6. The beach close by is wonderful and not as touristic as the one in the city Center. Location: close to Passeig de Gracia Metro Station, from which you can go to the airport for 1.8 euros with Renfe R2N in 30 minutes. 🙂 Easy access to all sightseengs. Quiet and cozy hotel in the center of Barcelona. 24 - hour buffet with food and drinks / beer, wine /. A staff of exceptional professionals who will make your stay at the hotel Continental Palacete an unforgettable experience. Very nice hotel with amazing staff who are willing to help with everything they can. Rooms are clean and comfortable. 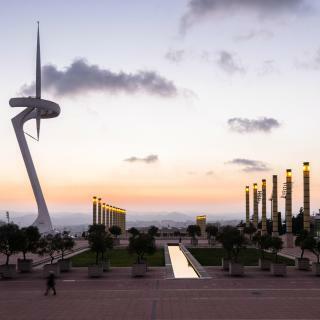 Location is great, outside the city center but close to metro station that would take you to the center in 10 minutes, to Barcelona stadium in about 20 minutes. There is a supermarket nearby. Would come back again to this hotel for sure. Right next to the metro station which was only a 10 min journey to the centre of Barcelona. Room was nice and clean, bathroom was really nice (bath and shower)/ modern and bed was comfy. Staff were very friendly and booked us a taxi back to the airport for cheaper than was online. The room had a safe and the hotel felt secure. Very nice rooms and decorated like 5 star hotels. Very clean and comfortable. Very nice and polite staff in both reception and management. This hotel have excellent location in city center very close to metro station diagonal. Good price. For sure my next trip to Barcelona will be this hotel. The hotel is just few minutes walk from the nearest subway station, 6-minute walk from the Exhibition center, and 20 minutes from city center. You’ll find some shops and restaurants nearby,if you don’t want to go to the center area. Rooms are clean, the conditioning system works well. A great hotel, designed beautifully, fair price, clean and comfortable. The breakfast was amazing! It was so varied and rich - not something that is regular in Europe. 3 minutes from Metro station by walk and just 4 stops from the city center. Great value for the price. The staff were great - especially Czech and Natalie. I had a bad back and they went out of their way to help me. The hotel is beautiful throughout and has a wonderful rooftop pool. Room service food is the best I've had in Spain also. Great hotel near airport with fantastic girls at reception who were very helpful. Would recommend. Bus into Barcelona on takes about 15 mins. Stop outside hotel entrance. We enjoyed our stay in this hotel. The place was very good-near city center. Breakfast was very delicious. If we will be back to Barcelona, we will choose this hotel again. Perfect level of service, awesome location, free upgrade. My emotions from Spain and Barcelona was pretty bad, but this hotel was one of the good ones.